Reward guests with some relaxing time out at our Royal Beach to re-calibrate mind space and focus on the present moment. Or, enjoy a lavish cocktail party by the seaside. 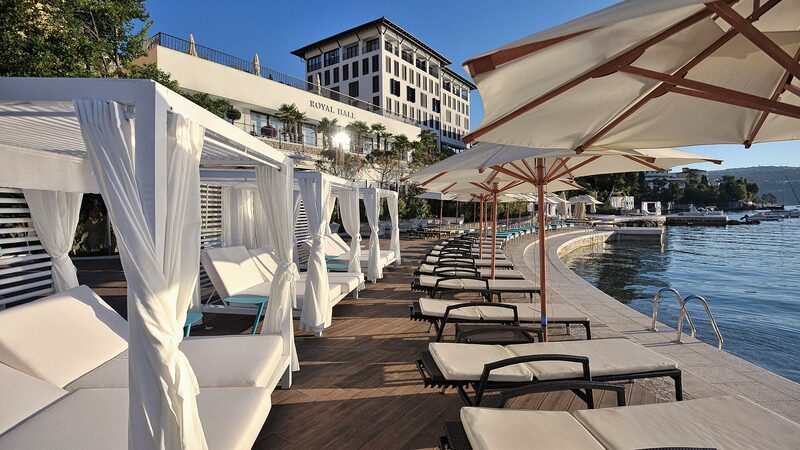 With exotic palm tree surrounds, views of Kvarner Bay and soft chill-out background tunes, you have a great setting for day or night. 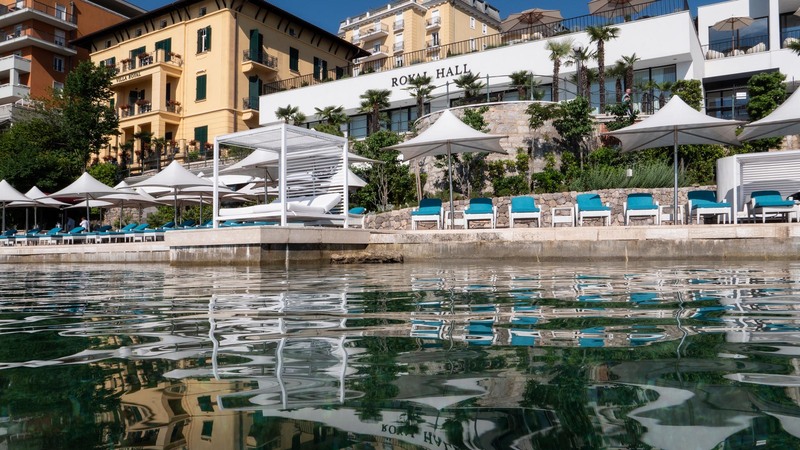 Features include sun lounges and baldachins, shade umbrellas, a shallow dipping pool, Royal Lounge Bar refreshments and Royal massage and treatments by the sea to relax and revitalise. For themed events, Royal Beach has the option for docking boats or yachts, for that extra dimension to your special event. 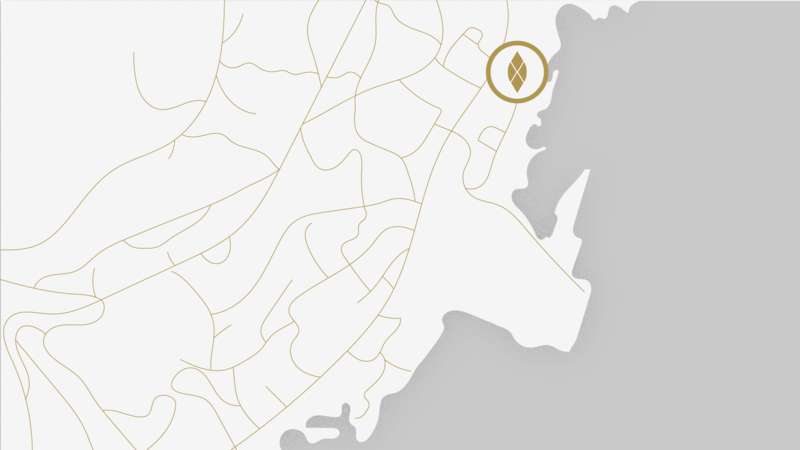 Royal Beach offers a waterfront location right in front of Amadria Park hotels Royal and Grand Hotel 4 Opatijska Cvijeta. 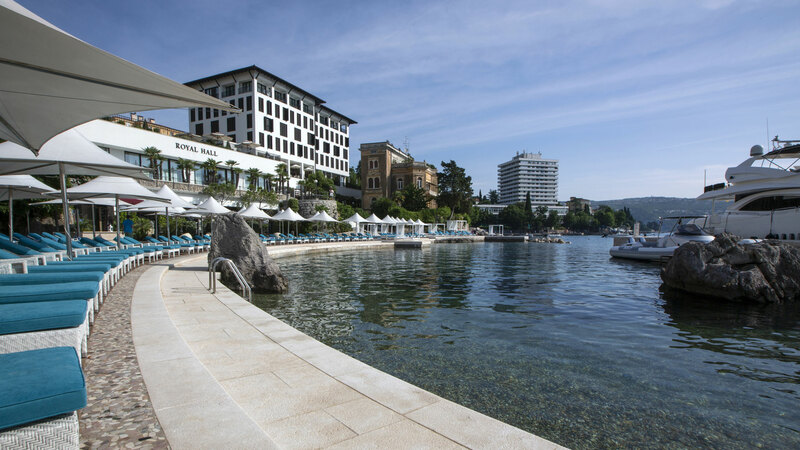 Opatija Riviera enjoys a mild Mediterranean climate, averaging 2,230 sunshine hours annually. Average summer air temperatures reach a pleasant 25°C (average high temperature is 30°C). Opatija is literally good for you! The sea is rich in the ‘feel-good’ mineral magnesium and the sea air is a good source of iodine. Average summer sea temperatures reach 24°C.